Email address is a type of identification by which an email receiver identifies the person who sends mail to him/her. That’s why while creating an email address you need to enter your personal details that must be valid. However, what if we tell you that you can create an email address that doesn’t require any validation of personal details and that email address gets permanently deleted after your work is done. 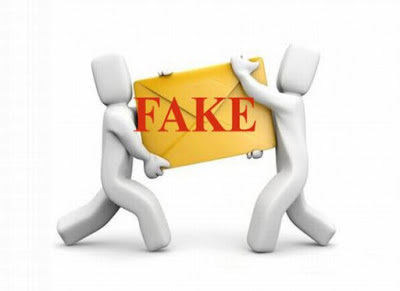 So here we have a method To Create Fake Email Address. By this, you can create a fake email address that will get auto-deleted after ten minutes. Just follow the below steps to proceed. Note: The method we are discussing is just for a known purpose and should not be used for any illegal purposes, as we will be not responsible for any wrongdoing. YOPmail’s free, quick and features rich service guards you against spam, phishing, and other online abuses. Protect your actual email, instead use YOPmail’s disposable one to sign-up wherever you want. YOPmail creates temporary inboxes of your choice instantaneously. When you register for Nada service, you will be provided a temporary email address which you can use it for registering to some untrusted websites. The inbox of Nada looks really clean and impressive, this is a real Anonymous service and the best thing is, Nada is 100% free. Temp Mail is a Disposable email, that allows the user to receive email at a temporary address that self-destructed fake-mail or trash-mail. Temp Mail is great for forums, WiFi owners, websites and blogs that asks users to register to view their content. So, this is another best disposable email that you can use. There Temp-Mail is the most advanced throwaway email service that helps you to avoid spam and stay safe. Email Generator is one of the fast and easy methods to get a disposable email. You can use the disposable email service to receive temporary email address which you can use on a variety of websites that asks users to sign up to see their content. You can generate the disposable Email address to generate unlimited emails which will help you to avoid spam and stay safe online. 0 Response to "How To Create Fake Email and Temporary Email Address"